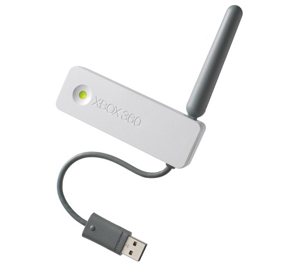 Microsoft have officially launched a wireless ‘n’ network adapter which allows for the fastest possbile wireless connection to your xbox 360. This sleek black wireless adapter has 2 antennas to boost it’s range and transfer speeds. Previously we have heard of people experiencing issues when streaming HD content over the original xbox 360 wireless adapter and this wireless ‘N’ adapter should make your wireless streaming stutter-free! Remember to utilise the full speed of this adapter you’ll need to ensure the rest of your wireless network is to ‘N’ standard otherwise this adapter will fall back to wireless ‘g’ instead. Below is the current latest price comparison for this 802.11n Xbox Wireless Adpater and will be updated as new suppliers come online. As games consoles have developed, so too has the way in which we play our favourite games. Long gone are the days when we simply plugged in the console, played a game by ourselves and simply turned it off. These days multiplayer gaming is all the rage and in order to take part you need access to the internet from your console. That is where a wireless adapter comes in. If you own an Xbox 360 then there is a specific adapter that you can purchase. The specially designed official wireless Xbox 360 adapter is possibly the best one that you can purchase and its performance is brilliant. So just how does it work? The official wireless adapter for the Xbox 360 is a USB device. This means it plugs into the USB port on the console. It has a dual band wireless bridge which uniquely works with the Xbox 360 console. There are no cables to worry about and it leaves space on the ethernet port situated inside the console too. The adapter can be used to play both Xbox Live games and for System Link play too. Its size also makes it quite popular as it is the same size as a small notebook computer adapter. As well as being able to play multiplayer games through the wireless adapter, you will also be able to play streaming videos and other media through the console too. You can also view videos, photos and music through Windows Live XP. Another great advantage to the adapter is that it easily collaborates with other wireless accessories. So you will not need to worry about integrating it with any wireless accesories that you do have. Installing the Xbox 360 wireless adapter is extremely simple. As it uses the USB port, you simply plug it in and it is ready to use. It takes literally just a minute or two to get it working. All you really have to do is to go into the system blade to choose the Wi-Fi network you want to connect to. Other adapaters that can be used in games consoles typically need to be connected to a PC first before they will work. However, the Xbox 360 version just needs your console. You can also use various wireless security tools and you still don’t have to configure them through a PC first. It can all be done straight through the console. Obviously the main question that you will want to know the answer to is how well does the adapter perform. The main worry is whether such a small device will provide a good enough performance. Judging by how popular the adapter is with Xbox gamers, performance wise you can definitely tell the difference. It has excellent signal strength even when it isn’t placed near the router. Some wireless adapters can cause interferences with microwave ovens and cordless phones for example. The Xbox 360 wireless adapter doesn’t seem to cause any interference. It even doesn’t seem to present a problem with the Xbox 360 wireless controllers. One of the best features of the wireless adaptor is its strength when it is placed far away from the router. It can be two floors up from the router and you will still receive high signal strength. Obviously it will depend upon the area that you live, but typically the signal strength is fantastic no matter where you place the console. 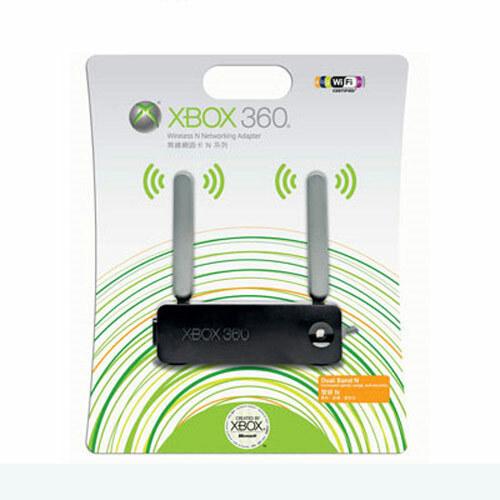 There are many alternatives to the official Xbox 360 wireless adapter but typically the main branded one is better. For functionality the Xbox360 adapter is the best one available. It is important not to mix the wireless Xbox 360 adapter with the wired version. The benefit of having wireless is that you can place the console and the connection in a room that is seperate from the router. A wired connection will also require the use of network cables. Overall the Xbox 360 wireless adapter is excellent for enabling multiplayer gaming. It can be placed anywhere in the house and it is incredibly easy to install. So if you haven’t yet looked into the official adapter, now may be the time to do so. 802.11n gets the green light! Copyright © 2009 Wireless Adapter. All Rights Reserved.